And what is most disturbing is that no one of the EA posted in the MQL5' article, and that are showing profit in those article, did not make any money when backtested. Actually I have the idea, that mql5 should open an under-category of signals; signals, that are solely based on the EAs here in mql5 marketsplace. This way sellers would have a platform to demonstrate their EAs and let it compete with other EAs, and we - as buyers - would have that great overview. Because if there is any one who find we will keep a secret. Remember that. They are plenty very good ea but need to find them. I think that many trader here will agree with you and your results including myself. I really appreciated that you brought this to surface with right question. I will try to explain the big gap between knowledge of using EAs (i.e. trading robots) and your experience as consumer. This is the typical three step scenario how novice trader starts to appointed to the signal subscription or buying EAs and etc. Then they can lose a lot of money pretty quickly with too optimistic thinking. 1. You have an idea of trading robot can beat human trader from news and mess media, etc. 2. Then you see many signal copying adverts on the internet with unrealistically high growth was achieved in backtesting and even forward testing with all sort of sweet words, etc. 2. Profitability in Live forward testing can only result in one or very few brokers. This means that many times it will not work for you when you copied the signal. 3. Live forward testing result is not absolutely trustable source either. It is possible to easily produce good live forward testing results for 6 month or 1 year or even 2 years and they can blow up all their account in 1 day (Black swan). 4. EAs and trading robot are not updated with real world market news and economic data release. Hence, they can always go against the market for big news release. 5. EAs (i.e. 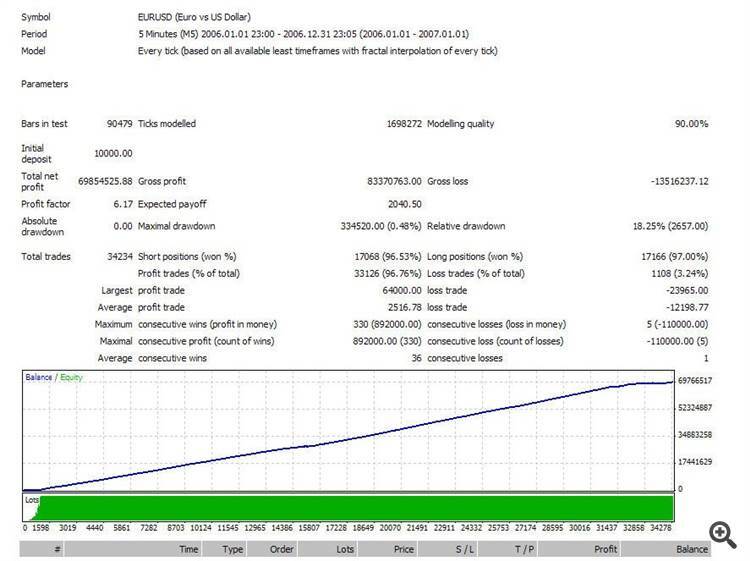 Trading robots) are operating in black box mode. Hence, you have less control over their operation. Does any one seen some wiered Japanese or Asian named signal provider on mql5.com few year ago how he blown his signal account for some over 1000 subscribers ? I forgot his name. Expert Advisor or trading robot or signal copying is a highly specialized statistical product but this is least emphasized by MetaTrader users and signal provider. Why? Because you need to understand how the simulation technique, data and strategy contributes towards your profitability (one more factor is real world technology around internet and network configuration). What you are seeing in backtesting and some forward testing is typically strategy part only. Some novice traders are missing to see how the simulatin technique, data and real world network configuration plays a role in the profitability. How these three simulation technique, data and strategy contributes towards the profitability are best described in the language of math, statistics and computer science (Not theoretical math but applied math, these two are totally different. Applied Medical statistics and applied geo statsics are often great resource and knowledge reservoir for this). Until you fully understand all these, I will not recommend EA and trading robot. Typically this is quite intensive learning skipped by many starters and traders. I do understand you want to make money quickly But can we go long way short really ? If you try to shorten the path by skipping them, eventually you will take even longer time than people taking the right path from the beginning. Your option to the profitable path in financial trading is either you become great applied statistician (i.e. mathematical trader) or great trader (i.e. manual trader knowing how to apply fundamental and technical analysis). Question is which professional trader would choose to become ? I think I will recommend to become manual trader. EAs and Trading robots are a highly specialized and sophisticated statistical product but they are often treated like piece of shampoo bottle sold for $99. Before using them, user must understand how simulation technique, data, strategy and real world network configuration contributes towards the profitability. Otherwise, you still have an option to trade manually with fundamental and visual aid of technical tools like indicators and patterns. I think that manual trading is much more friendly for all level of traders because you trade as you see and as you feel. Often staying too long with black box trading system like EAs and Trading Robots will not give you any education or any transferable knowledge you can use for future. We will not discuss all these in this post because this is such a long story. You stated success rate 50%. it is good but you forgot to specifiy reward/risk ratio along. 50% success rate can be profitable only if you are providing right reward/risk ratio. I wouldn't mind to see some spam here. Better spam and maybe some profit, than respect and no profit, which is how we are (most of us, maybe some of you guys are really making a profit for more than 3 years but you guys know that most of you don't). So I think we do need some spam. Please, someone come and spam us!